Then it finally hit me. 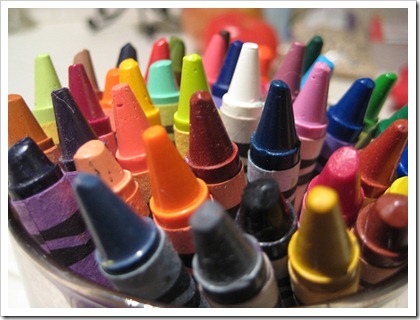 It wasn’t that the crayon didn’t work; but, that the she could not see her desired result. 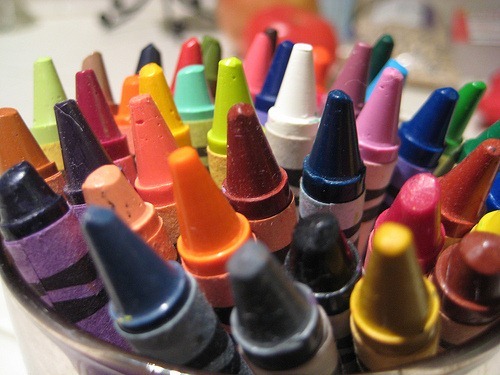 The problem was the combination of the color of the crayon and the the color of the paper being colored upon – they were both white! So, to the eyes of a little girl, it just didn’t work. Often times, as parents, it is easy to over-look or dismiss the questions and confusions of our children. It is easy to expect them to remember everything we have taught them. It is easy to expect them to see the world the way we see the world. And, it is easy to be frustrated when our children don’t understand things the way we expect or want them to. What does my child really want? Why are they acting that way? What are they trying to tell me? How do I connect with them? How do I inspire my child? Slow down and listen. We are often quick to speak for our children. Instead of putting words into their mouths, we must take time to listen. Listen to the words, and the heart behind the words, that they use. You may be surprised at what you will learn. See the world from their perspective. A child does not see the world the way adults do. Yet, it is easy to assume that our children “get” the world in the same way we do. So, we must be intentional in learning to see the world from their vantage point. Walk around on your knees. Play their games. Spend an hour living by the same rules and expectations that they do. Engage their world. There is not a formula that leads to complete understanding of your child. The point, though, is to study your child. As you get to know your child, listening to them and learning to see the world from their perspective, you will gain incredible insights for understanding and connecting with your child. Question: What has helped you in learning to understand your children? You can click here to leave a comment below. “See the world from their perspective.” Steve, it’s been awhile since my 25-year-old son was smaller than me, but I remember discovering what was on the underside of the dinner table because of my son when he was two. Just about everything at that age seemed to be looking up in his world (pun intended). Both words of advice, “slow down” & “see the world,” still apply even now.